When you’re at JANM to see Kaiju vs Heroes, make sure to stop by the Museum Store for special merchandise related to the exhibition, including exclusives sold only on-site. New items will be available throughout the run of the exhibition. 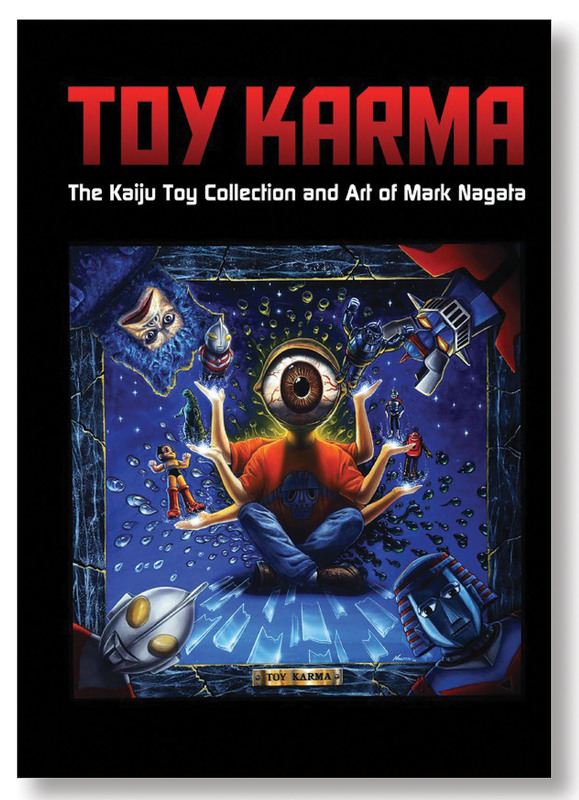 Items available both on-site and online include a new book about and by Mark Nagata called Toy Karma, Eyezon t-shirt, Captain Maxx mug, Kaiju vs Heroes exclusive print, and limited edition mini vinyl toys—Mini Eyezon, Mini Drazoran, and Sofubi-Man in red (a JANM exclusive!). JANM members receive a 10% discount! Join or renew now! Stop by the JANM Store for limited edition on-site only exclusives—they sell out fast! For product updates, sign up for the Museum Store email list using the box below or follow us on social media. Check the Kaiju vs Heroes Events page to find out about upcoming appearances and signings by Mark Nagata.